Dealing with a nasty flu, so I did not sleep very well. 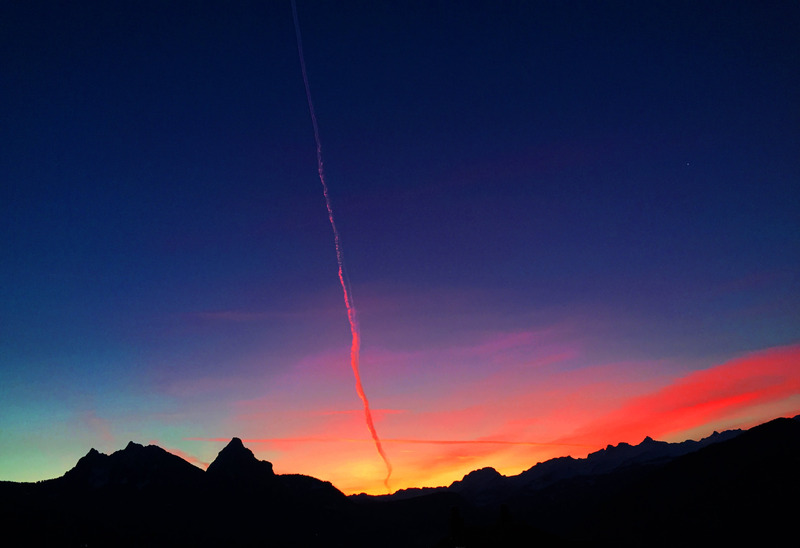 The updside of that is that I woke up early to see this beautiful sunrise over the Alps, with trails from airplanes high above…. I hope I can fully recover over the weekend. Really nice … hope you’re better now and be fine soon. Beautiful sunrise. Looking forward to your RPi Zero project, and I hope you are feeling better soon.